The San Joaquin Valley of California. San Joaquin, Calaveras, Stanislaus, Tuolumne, and Merced. 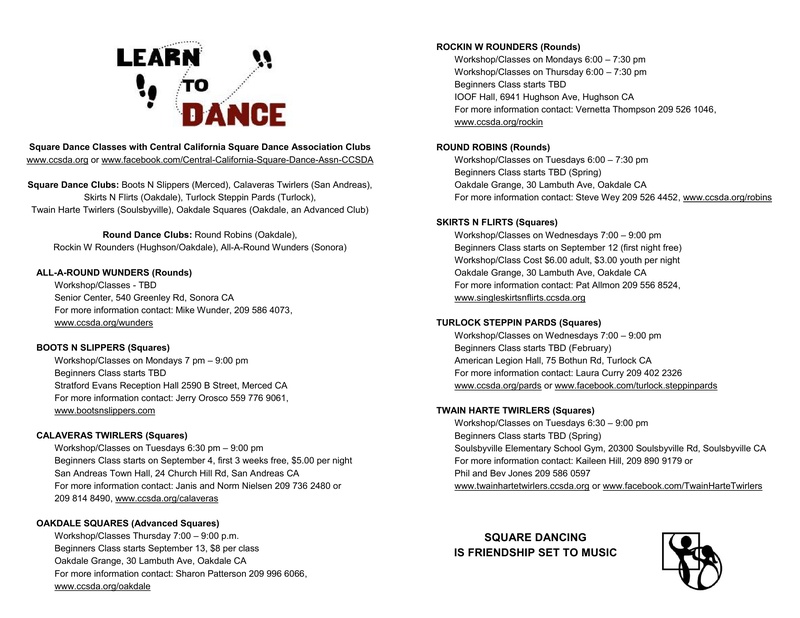 We have 5 square dance clubs dancing at the Plus level, 1 club at the Advanced level, and 3 round dance clubs. Merced, Modesto, Oakdale, San Andreas, Sonora, Soulsbyville, & Turlock. When you visit this area we invite you to come join in the fun at any of these clubs and enjoy dancing to the fine callers and cuers.